“LPS mulls best Native books,” by Margaret Reist, Lincoln Journal Star, 3 October 2006, http://www.journalstar.com/articles/2006/10/03/top_story/doc4521bf0c8a4b7965832929.txt. And in addition to seeking out the best Native literature it could find — 128 new recommended books — it took the unusual step of recommending school libraries remove 12 books from their shelves. Misrepresents Lakota spiritual beliefs and cultural practices. Relies too heavily on research by non-Natives. Misunderstanding of Navajosâ€™ strong oral storytelling traditions (no child would take notes while an elder told a story). Pathetic attempts at Native humor. â€œWhitewashingâ€ of Native experiences. “Books to avoid” about Thanksgiving from the same group that inspired this censorship list — Oyate — are available below the fold. A shorter version is also available. Spent this beautiful Indian summer evening watching an amazing film, The Call of Cthulhu. Distributed the Howard Philips Lovecraft Historical Society, directed by Andrew Leman, and written by Sean Branney, The Call of Cthulhu is a triumph of art, literature, and film. Ironically for a tale by a poet, the movie The Call of Cthulhu is silent. Completely. It is made in the style of a silent movie from 1928. Some music videos over the past few years have tried this style — Red Hot Chili Pepper’s Otherside, for example, and Smashing Pumpkin’s Tonight, Tonight — but none have done it this well. The movie is not knowingly ironic, it is not a comedy, it is not take itself lightly. The Call of Cthulhu is a serious attempt to recreate a horror tale from the 1920s in the style of 1920s Hollywood. It succeeds brilliantly. That’s why it was a Seattle International Film Festival Selection. 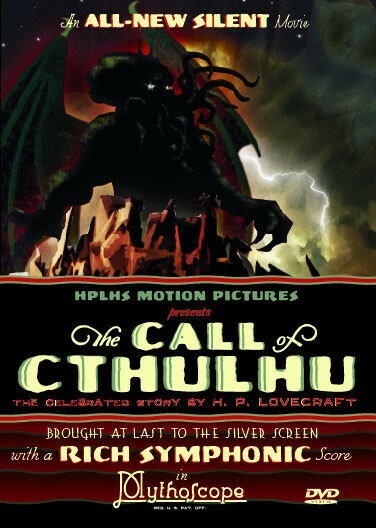 The Call of Cthulhu is the best Lovecraft adaptation I have ever seen, it is the best silent film I have ever seen. The Call of Cthulhu is a masterful executed labor of love. Watch it. The Call of Cthulhu is available for rent from greencine or purchase from Amazon.com . It runs 47 minutes, and includes an excellent “making of” documentary. 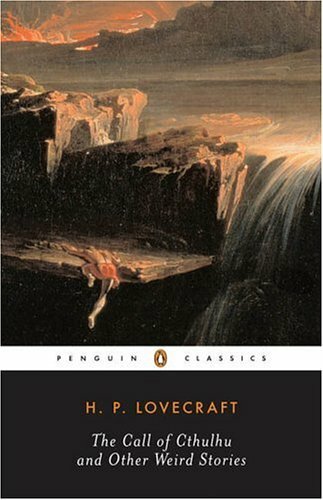 More reviews are available from the HPLHS. A trailer is also available. Of course, there are humorous adaptations, too.